HATWARD, Calif. -- A fugitive from Louisiana suffered a very minor injury when he was shot at by a U.S. Marshals deputy near Hayward this afternoon, an Alameda County sheriff's sergeant said. The shooting happened as deputies with the U.S. Marshals Service Bay Area Fugitive Task Force were serving an arrest warrant on the 26-year-old suspect, who was wanted in Louisiana for weapons and drug charges, sheriff's Sgt. Ray Kelly said. The deputies drove up on the suspect, who was also in a vehicle, at about 3:15 p.m. on Romagnolo Street, a dead-end street off Maud Avenue, Kelly said. There was a brief confrontation and the deputy believed his life was in danger and fired on the suspect, Kelly said. The suspect suffered either a graze wound from the bullet or was struck by flying debris. Kelly could not immediately elaborate on what led to the shooting but said the suspect did not fire on the deputy. He did not know if the suspect was armed. The suspect was taken to a hospital for treatment but quickly released and is now in sheriff's custody. 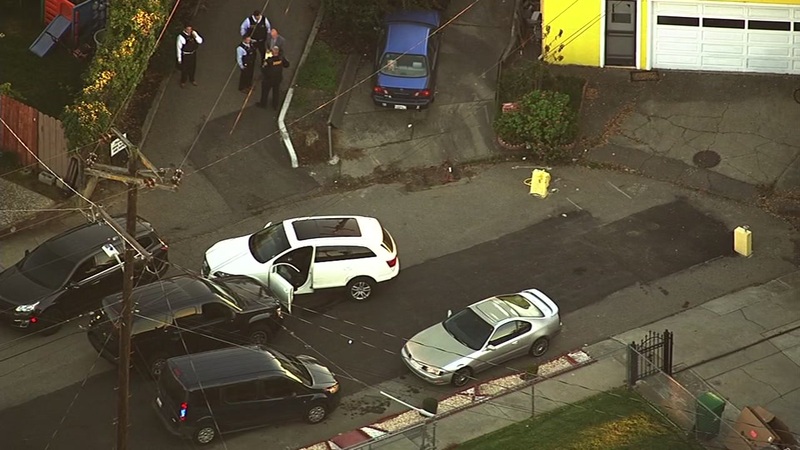 The Alameda County Sheriff's Office is investigating the shooting and will interview the suspect and deputies as part of their investigation.